This men's wedding band from Lashbrook is domed and distinguished. 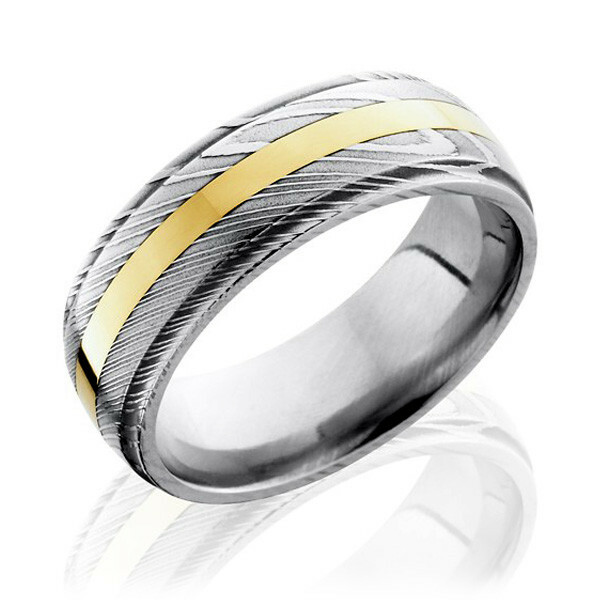 Crafted in Damascus steel, the 8mm polished piece has a 2mm 14kt yellow gold inlay and grooved edges. A two-tone gent's ring is twice as nice, when it's designed in America by Lashbrook!